Tireddd but i think it's probably my contacts killing me. It's probably because my contacts are close to expiring. Why can't I have perfect vision. Actually when I wear glasses I look super different. Like my nerdier self but I'm glad I went through that phase. I enjoyed indulging in my comics and hanging out with geeky friends who up till today are still the coolest people I know. 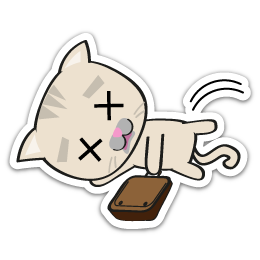 Can only use this sticker because it's how i really feel after closing up for the cafe. Thank God this cafe doesn't open over the weekends like many others if not I would have died hahaha. I went in at 8.15 and there were already people there muching on breakfast 🤤 where ya all get this energy man. As much as I love my teatimes with my girls, working in cafes has taught me to appreciate staff who do weekend shifts man. Today's weather is soooo hot. #nofilter ! 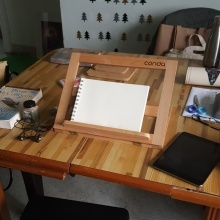 When I tell alot of my classmates or ex poly mates that's i'm doing freelance they usually assume it's very glamorous and like I work in cafes alot but nope just me here sitting with a cheapo lazada fan with tons of crap around hahaha! 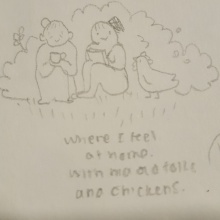 Was talking to B about a group of 30 something year olds conversation i sneaked on while having late dinner just now and I just felt so much less anxious after hearing about their life, their updates, their jobs. I've come to a stage in my life where I prefer to meet old colleagues cause I feel like they've been there and done that and they're more chill. When I talk to friends my age, its always careers, progression, money, holidays and it kind of stresses me out. 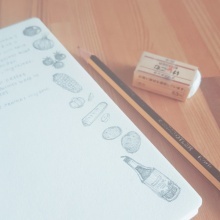 Today's agenda, drawing vegetables! 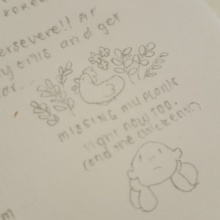 I had this sudden bout of anxiety because of all this job hunting and I just had to journal and I started aimlessly doodling vegetables. It was so soothing haha! Maybe I should do a vegetable/ intro to doodling workshop lol. Today is just one of those tuesday blues day I guess. Things like rent and income have been creeping in since the morning and I keep worrying about what to do and where to go. I don't know why my brain keeps going into survival mode.